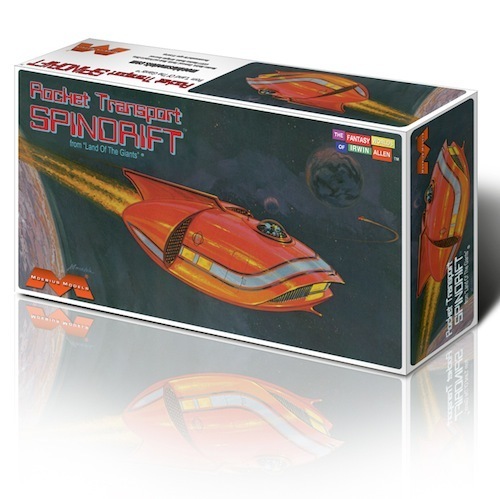 The Mini Spindrift Model Kit based on the Land of the Giants sci-fi TV series. Scaled to match the Mini Flying Sub Model Kit, to add to your Irwin Allen collection. for the space vehicle, and decals and a display stand are included.